Introducing Stella York, a wedding gown collection which brings dramatic elegance and Australian-inspired sophistication to your special day. Quality couture creations at competitive prices – that’s what Stella York’s bridal collection is all about. For the bride who aspires to stay on-trend in glamour without breaking their bank completely, our bridal experts at our Calgary and Edmonton Bridal Boutique locations recommend a timeless piece from Stella York. From designer silhouettes, ball gowns that scream royalty, flirty fit-and-flares, and chic and modern sheath dresses – Stella York has a style, size, and price point that can be just right for you. Details of inspiration include floral laces, shimmering materials, dazzling beadwork, ornate trains, and sheer elements. Whether the bride embellishes in glamorous and enchanting beading and fabrics, soft chiffons, satins, or organza, her look will be the centre of attention as she strides down the aisle to the love of her life. A Stella York bridal gown is made with extraordinary attention to detail, assuring every bride that she will be looking her very best on her big day. Handcrafted and magnificent, each gown created has been reimagined through the world’s hottest red carpet trends in stunning details. Our Calgary and Edmonton wedding experts agree, Stella York dresses are exquisite in providing the perfect fit for every type of bride. Stella York dresses are made with affordability in mind, creating universally flattering dresses that brides can adorn with confidence. Whether you are looking for elegant sophistication, or dramatic glamour, a Stella York wedding dress is more than just a brand, it reveals the spirit and essence of the beautiful bride. 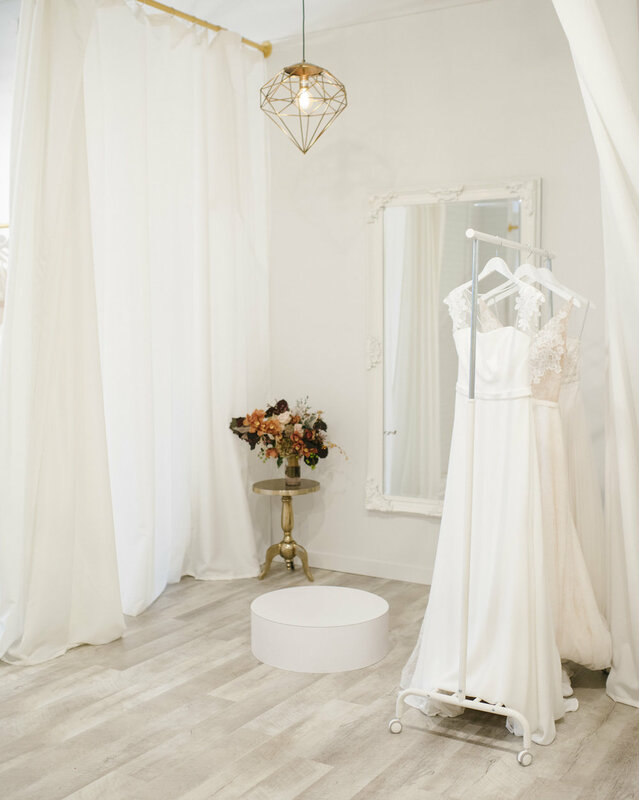 If you have yet to try on the Stella York wedding collection, be sure to check in with our two Bridal Boutique locations in Edmonton and Calgary to experience first-hand how you can have your wedding dreams come true in a Stella York gown.